Q: I’m looking at purchasing a staionbred/standardbred cross which dishes its front legs. In the future I would like to do some showing and dressage – would corrective shoeing help? What can I do to fix, help or disguise this fault? Answer: Angela. Dishing, where very simply, either one or both of the front legs move in a slightly circular action when moving forward is not an uncommon problem. There a few things that an experienced farrier may be able to do to improve this problem with the gait but you first must understand that if the feet are already reasonably balanced before you attempt to make any improvements then the chances of completely solving the dishing issue may be too much to expect. 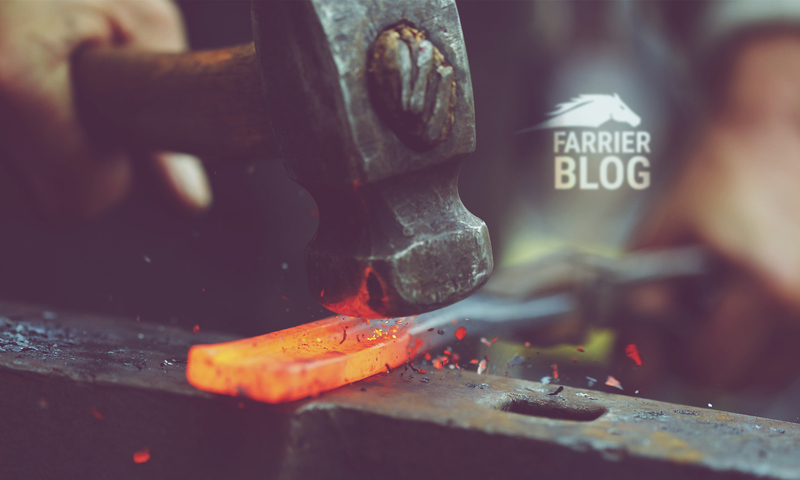 Before the initial consultation from your farrier, you should assess the horse and find out why you think the horse moves this way in the first place. If you understand why the horse dishes then you have a good starting point to make some improvements. There are many reasons why a horse does not move straight and these can include conformation faults, fitness of the animal, rider problems, hoof balance issues and so on. Think of a swinging pendulum and then think of the same about the foot on the end of the limb. Any excess weight on the end of the limb may also increase the amount of dishing (whatever the cause) so it is sometimes found that the longer the feet grow, then the more extravagant the dishing can be. Regular farrier attention can help and timing the shoeing appointment a few days before a competition could be a wise move especially if you are considering showing and/or dressage where more emphasis is often put on the ‘correct’ movement of the horse. Your farrier may also suggest lighter shoes to reduce the problem and may consider using shoes without a clip (or a side-clipped shoe). While this will not necessarily improve the dishing itself, it may help to disguise it somewhat when you are in the ring. When there is a clip at the front of the hoof, which is dead centre, a judge’s eye may be sub-consciously drawn to it and the dishing becomes more obvious. Be careful about trying to make radical changes to the feet. If you straighten something which should not be straightened then you could create more problems than you solve! Good luck.